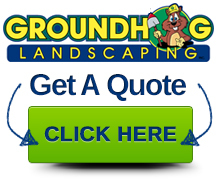 Landscaper Derry NH | Groundhog Landscaping Inc.
Come visit us in Derry, NH! Established in Londonderry New Hampshire over 20 years ago, Groundhog Landscaping Inc., has grown to become one of the largest full-service landscape companies in southern New Hampshire. We believe our consistent growth and success is because we offer competitive pricing, we know our costs, and we deliver value. In 2016 we purchased and renovated a house and warehouse encompassing more than 27,500 sq. ft. at 6 Bowers Road in Derry, NH. Groundhog Landscaping now operates both its Property Management Division and its Turf Care Division from the new locale. Professional landscaper. Experienced in lawn maintenance, retaining wall installation, walkway installation, patio installation, and irrigation systems. Professional Landscaping and lawn maintenance. 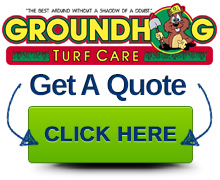 We have used Groundhog Landscaping for many years now for residential landscaping and property maintenance needs: lawn mowing, spring and fall clean-ups, mulching, planting and pruning trees and shrubs, etc. We hired them initially almost 10 years ago now to install a new lawn (after we lost the old one to crabgrass) and irrigation system. We have been happy customers ever since. Over the years we have found them to be very reliable, responsive, professional and friendly to work with. Keep up the good work guys!